The Svorak keyboard stickers can easily transform your standard keyboard into a customised one within minutes, depending on your own need and preference. 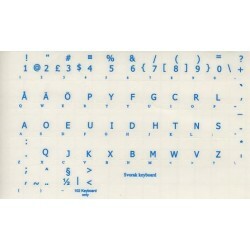 Due to the Svorak keyboard stickers are ideal for all users, for beginners and professionals. By applying them on your standard keyboard you immediately start working with Svorak. 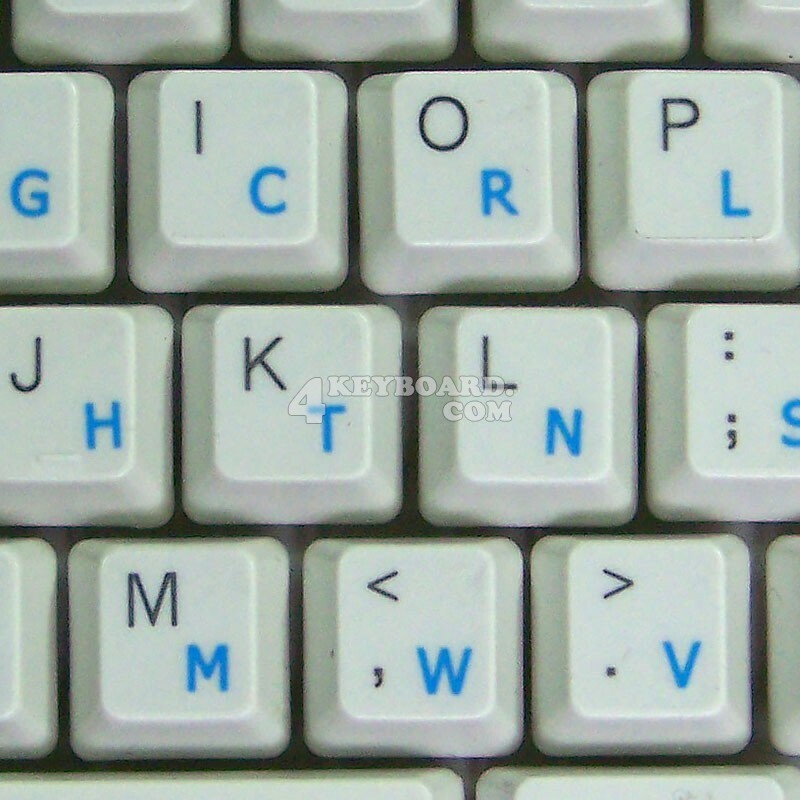 The Svorak layout is spread onto transparent - matt sticker, with one of the following colours (yellow or blue) which are suitable for all kind of keyboards, no matter what colour and hue they are. 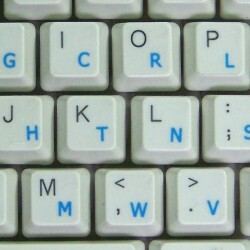 Svorak is a Swedish version of the Dvorak keyboard layout. The displaced punctuation symbols (period and comma) end up at the edges of the keyboard, but every other symbol is in the same place as in the standard Swedish QWERTY layout, facilitating easier re-learning. This major design goal also makes it possible to "convert" a Swedish QWERTY keyboard to SVORAK simply by moving keycaps around. 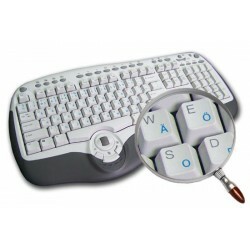 It is easier to type letters alternating between hands. Likewise, the least common letters should be on the bottom row, which is the hardest row to reach. It is more difficult to type digraphs with adjacent fingers than non-adjacent fingers. The Svorak keyboard layout became easier to access in the computer age. 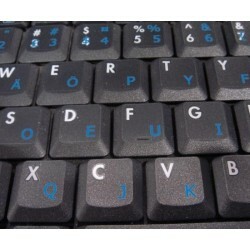 Currently, all major Operating Systems (such as Apple OS X, Microsoft Windows, GNU/Linux and BSD) ship with Dvorak keyboard layout in addition to the standard QWERTY layout. So far, DSK has failed to displace the QWERTY standard. What you're offered now is high-quality stickers, intended to simplify you work and enjoy it while doing it on computer.